Johnny Appleseed Day is all about pick-your-own apples. 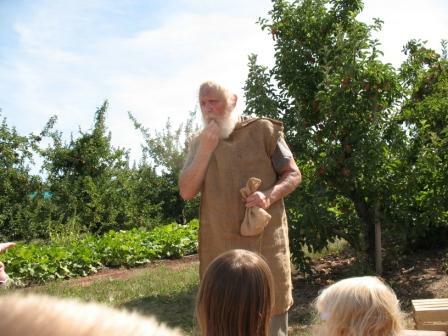 Join us for hay rides to the apple orchard, pick-your-own apples and storytelling with Johnny Appleseed himself. We’ll have plenty of apple treats, including caramel apples, baked apple desserts and apple cider! Special activities from 10:00 a.m. – 3:00 p.m.
Read our blog article about Johnny Appleseed Day!